Oxford Properties 125 Summer Street is new home for Analog Devices innovation lab. Citing ease-of-access to public transportation as a key influencer in its decision to move to 125 Summer Street in Boston’s Financial District. 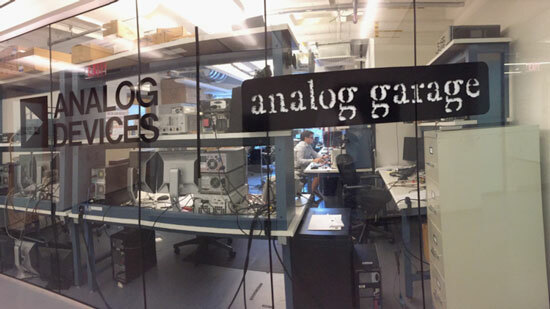 Analog Devices Inc. is more than tripling the size of its startup incubator and emerging technologies lab in a move from Cambridge to downtown Boston — an expansion that will allow the Norwood-based multinational semiconductor company to hire an additional 80 to 140 workers for its emerging-technology group. The [125 Summer St.] office provided the best mix of easy access to both the MBTA Red Line — a must for a company with roots at MIT, and an employee base that lives in Somerville and Cambridge — as well as what O’Doherty called the burgeoning startup culture of both downtown and the Seaport. 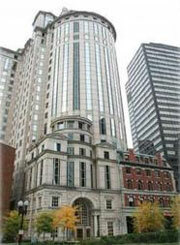 The Boston office market is seeing strong rent growth in all classes and in all CBD submarkets. Landlords continue to try to differentiate their buildings by offering amenities and upgrades. Oxford is making a big splash in this space with lobby upgrade at 125 Summer Street in the Financial District. You can read the full article on the Boston Business Journal’s website. Our city is on the move, and along with it, some noteworthy addresses. 100 High Street and 125 Summer Street are the latest towers to announce that they are under agreement to be sold by Equity Office, Blackstone. The sale is expected to close in September. More information is available on the Boston Business Journal’s coverage, here. Who is your new landlord and should you care? Equity Office, Blackstone, is in the process of selling off assets. 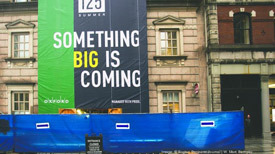 The newest to be announced are 100 High Street and 125 Summer Street. “Private equity giant Blackstone Group will sell five Boston properties to Oxford Properties Group of Toronto for $2.1 billion, the Wall Street Journal reported. Additional details on the sale are available on the B&T website.